This is a discussion on Bill's v3 Realism Sliders within the Madden NFL Last Gen Sliders forums. PLEASE NOTE: THESE ARE FRANCHISE SLIDERS. 1. The Middle Return on Kickoffs/Punts is successful so often that it should be considered an exploit. Choose Left or Right return. 2. The sprint button is an exploit, particularly on outside running plays. No sliders will be able to compensate for abuse of sprint. 3. The CPU has much more time to pass than the Human player to compensate for its slow decision making. In a game with comparable OL/DL, you will have to blitz to get any kind of decent pressure on the QB. Note: at first, it looks like there are only four sliders. Press "A" on each to access the sub-settings (thanks to Bill Abner for the tip). These sliders are balanced for Franchise mode, and they're supposed to be tough. In particular, it should be very tough to stop the CPU rush without "selling out" your defense (which makes it more vulnerable to the pass). BTW I asked right at the end of the old thread about the game speed at very fast. That is what I thought you started out at based on stopwatch timing at the beginning. Out of curiousity, what made you switch to fast? What was the difference?
] This setting is really cranked up from version one. CPU pass defense was just too weak, and this significantly improves the CPUs ability to cover receivers. Do not think that CPU pass coverage becomes psychic or something, because it doesn't. 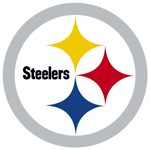 Here We Go Steelers!!! Here We Go!!! My CFB Teams: Marshall..WVU-Go Herd/Eeers!!! It was comparing actual video footage of Devin Hester with his speed in the game. Here's the post from the original thread (I'll probably pull some of these research posts over). This is a copy of a post I made on my blog. I received some very interesting e-mail after the original slider post. In particular, there were some excellent e-mails on player speed and how times at the scouting combine translate to speed on a football field. After several of these discussions, I realized that the idea of using combine times to establish top player speed was problematic. There are two huge advantages to using combine times--they're readily available, and the conditions are the same for everyone--but trying to calculate the proper adjustment to "football speed" is very subjective. So let's try something else. That video shows every kickoff and punt return for touchdowns by Devin Hester in the 2006-2007 NFL season. I wanted to see how quickly he could run 40 yards--not from a standing start, but when he was already running at or near top speed. You can take a look for yourself, and damn, Devin Hester is fast. 1. First clip in the video, a punt return against the Packers. He doesn't run in exactly a straight line, but it's fairly close. Time from his 40 too the Packers' 20: 4.31 seconds. 2. At the 3:40 mark in the video, indoors against the Rams. Time from his 45 to the Rams' 15: 4.15 seconds. This is the clip where he's closest to running all out from the start of the timing window. 3. At the 5:40 mark, his time from the 40 to the opponent's 20: 4.35 seconds. I found one more clip on an additional video and timed 4.35 there as well. Okay, so we now have indisputable proof that Hester can run 40 yards on a football field, in pads, in 4.35 seconds (or faster). However, he's already running at speed (or fairly close) when the timing starts. So is there any way to duplicate this in the game? I went back onto the practice field, but this time, instead of timing Hester from the Line of scrimmage, I timed him from 10 yards into his streak pattern--he wasn't quite at top speed yet, but he was close, and it's a good match for what I saw on the video. I think you can make the case, since he was running an absolutely straight pattern in the game, that "Very Fast" is probably the closest match. However, "Fast" is very close as well. I think it's more a question of personal preference in terms of how you like the game to look and feel. great work. but what happens if i lower threshold a bit. maybe between 40-50. would that impact any sliders. In regards to fatigue and injury - particularly injury. The problem I'm forseeing there - at least for injuries is that there may be a discrepancy between the injuries that occur in simulation and in actual games. I wish that they had two sliders for that. I have mine at like 35 because there were just way too many season enders at 50. Even as low as I have it it seems excessive. But what that does for my in game injuries is cuts them to virtually nothing. Although Eric Weddle broke his arm and was out 4 weeks. Curious to see what people are thinking in regards to those two sliders. Bill, are you working on some Auto-Sub Sliders to go along with these?